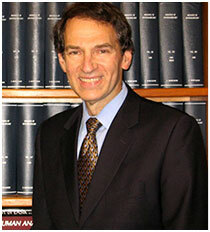 "Dr Rapoport is a skilled, knowledgeable, sincerely caring medical professional. I started seeing her a year ago and have since moved out of state. Regardless, it’s a priority for me to continue under her good care. I feel confident in her abilities - and it is my eyesight afterall!" "This review is from Edythe Jablonsky, a Sjogren's sufferer, and patient of Dr. Rapoport's. For those that don't know, Sjogren's is a progressive disease that causes severe dry eye, as well as dehydration of other organs in your body. Dr. Rapoport is well-versed in the disease and its symptoms, and she treats every infection, irritation, and doctor's visit with kindness and professionalism. She is very thorough while being warm, kind, and gentle and her disposition is always very soothing, which means so much to me. She is always so supportive, whether by calling to follow-up on my progress or making herself available any time I have to contact her. No matter what the situation she is always patient and attentive . In essence, Dr. Rapoport's bedside manner makes an unbearable situation bearable. Bless her on her kindness and professionalism." "The most thorough eye exam that I've ever had. Attentive and very competent doctor. All the staff were also well qualified." "Dr. R. was very nice and took time to answer all of my questions. Everyone in the office was very friendly and helpful. I definitely recommend this place!" 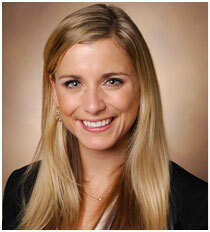 "Dr. Rapoport and her assistant were so helpful and thorough! I'll definitely be back." "Very thorough and answered any questions I had." "Comfortable office. Great team. Dr. Rapoport and her assistant were clear and thorough, and made me feel at ease." "I had a great experience with Dr. Rapoport. She has excellent bedside manner and explained things/ answered all of my questions thoroughly."